This course introduces psychology, its historical development, theoretical and applied fields and the methods of research applied in it. It also examines the factors influencing human behavior such as genetic inheritance and the environment and addresses the psychological and mental aspects of life starting with feeling, attention, perception and moving towards the thinking process and memory. The course discusses also the individual's behavior within groups, in addition to the individual's motivations, reactions, intelligence, personality components and his or her psychological health and illness. This course reviews the historical development of child upbringing and education in the early childhood stage. This review examines how Islam addressed this issue and how it has been addressed by renowned intellectuals who had contributed to the development of the field of early childhood learning and education such as Pestalozzi, Jean-Jacques Rousseau, Frobel, Montessori, John Dewey and Susan Isaacs. The course explores also the different educational philosophies behind the various approaches to early childhood learning and education leading to the contemporary practices of linking educational approaches to the child's developmental characteristics, and learning through play, exploration and practical experience. The course explores also the characteristics and qualifications of the teachers of the kindergarten and the first three grades and the roles they play in child education and in providing children with educational environments and practical experiences. The course examines the fundamentals of child's health through the stages of pregnancy and child birth and beyond and the genetic and environmental factors affecting it. It also reviews the main illnesses children experience, the measures of disease prevention and the basic healthy practices. The course covers also the components of the child's healthy nutrition and the role of the teacher in interacting with the child, the local community and her/his role in raising children's awareness of health and nutrition. This course studies the traits of the gifted and talented children, the problems they face, how to overcome them, factors that encourage creativity, the fundamentals of education for creativity, its philosophy and methods, the principles that underlie the world council for gifted and talented, children’s activities and play to develop child practical creativity, current research in stimulating and developing creativity, practical manuals for teachers and parents that guide them to interact with their creative students and their roles in creating the environmental factors that foster creativity and the relevant programs. This course studies the main themes of thinking, critical and creative thinking, and the various thinking skills with related practical activities. It also deals with thinking strategies, multiple intelligences, six thinking hats, thinking types, thinking fallacies and modern brain research. This course studies the inter-personal communication concept, its structure, skills, the factors that affect it, and some of its life applications. It also aims at encouraging student’s reflection in his communicative habits and skills and improving them in various social contexts, such as home, university, work and friendship…etc. Different topics are presented: listening, social cognition, self-concept, verbal and non-verbal language, conversation, the basics of human relationship and its development, persuasion, ethics in communication and some applied skills, such as negotiation, interviewing and presentation. The course aims at relating concepts, skills and problems to the direct life experiences of the student. This course considers some basic concepts such as play vs. work, toys, play tools, play objectives and importance, psychological and educational bases at play, types of play: constrictive, physical, dramatic and cultural. It also discusses the factors effecting play, subjective and environmental, classical and modern plays, developmental play, the rise and benefits of educational play, play and teaching in kindergarten and elementary school, play and psychological counseling and therapy and children drawings and their psychologal significance. This course introduces the different types of child's plastic arts and their effects on the child's psychological and cognitive development. It also, discusses the relationship between arts and the child's personality and the methods used in developing child's creativity, in addition to the arts application in the real life. This course introduces the most important psychological theories related to child's emotional, social and moral development and their developmental phases. It also looks at the factors affecting their development in addition to specific issues related to the infancy, childhood and adolescent developmental phases. This course discusses the development of cognitive processes such as perception, attention, remembering and classification, in addition to the higher mental processes such as analysis, synthesis, and evaluation. The course also introduces the theories of mental development such as Piaget and Bruner theories. It reviews the phases of the language development, its theories and the factors affecting the cognitive and language development. This course discusses the concept of the family and its importance and effect on children's different developmental domains and upbringing. The course presents the following topics and issues: The child developmental characteristics in early childhood, child's different development needs and parents' role in meeting child's needs, parenting styles of child upbringing, the effect of each upbringing style on child's personality, adjustment and learning. It also looks at the different factors affecting the child's upbringing such as: parents readiness for their role, parents' different needs for parenting, child's position in the family, relationship among the family members (relationship among parents, child's relationship with their parents, relationship among children and relatives, relationship with friends, family conflicts), relationship with the surrounding community and school. This course introduces the importance of kindergarten phase, the philosophical, social and cognitive principles of the kindergarten curricula. It also includes the following contents of the curricula: The general and specific objectives, the curricula concepts and skills of the language, math and science, social and expressive art. The course also includes the methods and approaches of developing integrated child-growth in cognitive, emotional and psycho-motor domains and the evaluation of all development and growth domains. It also presents children’s problems in kindergarten, kindergarten-teacher problems and the kindergarten - teacher competencies, in addition to organizing the teaching learning environment in kindergartens (children, space and time management). This course aims at introducing the important effect of music and drama in child education and the importance of using them in enhancing child education practices in the kindergarten stage. It highlights the important effect of music and drama in developing children’s skills and in enhancing the children learning readiness of writing, reading, arithmetic, etc... In addition, introducing the role that drama and music play in supporting families and schools and in children upbringing process especially the socially and morally aspects and teaching social and moral values considered important for the upbringing of children. The course includes the following concepts: special education, handicaps, impairment, disability, history of special education, individualized educational programs, resource room, special class and mainstreaming. It also introduces the different kinds of handicaps such as: Mental Retardation, Learning Disabilities, Physical Disability, Hearing and Visual Impairment. It identifies the different types of handicaps, its prevalence in the society, causes of disabilities, the educational and psychological assessment for each presented handicap, the characteristics of the handicapped persons, the educational and psychological services provided to each type of handicap. Moreover, the course introduces the behavioral disorders such as: aggression and autism, definition and classification, causes of behavioral disorders, individual characteristics and the available educational services to this type of disability. It also introduces the definition of talent, giftedness and creativity, the psychological and social characteristics of this group and evaluation and educational services provided. Recognition of behavioral treatment methods, steps of behavioral treatment, reasons of diversified behavior and its defensive ways and recognizing the behavioral treatment methods for each case, immature behavior such as excessive activity, weak attention, daydream, chaos, disorder, selfishness, over self-reliance, behaviors connected with security feeling, fear, anxiety, low self- esteem, high sensitivity to criticism, shame, unsystematic habits, thumb sucking, nails biting, involuntary urination, feeding problems, nervous crises, relationship problems with colleagues, stuttering, aggression, competition between brothers, social isolation, social behaviors such as: Lying, fraud, vandalism and academic problems such as weak achievement incentives,and wrong study habits. This course tackles the most important theories and practices in the field of raising children. It also includes definition of the contemporary look towards the childhood which modern raising children programs rely on. In addition to the modern principles in teaching pre-school children, recent trends in the early childhood programs which seek to achieve the balanced and comprehensive education, which in turn, enables the student to compare the various developmental methodologies and the various educational strategies when dealing with children depending on the strengths and weaknesses of points. Also, the possibility of the practical application in the field and the educational requirements of these trends and their effect on children. This course deals with the importance of developing the social and religious concepts: their objectives, methods, their content in the early childhood, the evolution of social and religious growth, aspects and factors affecting social drama and the development of social and ethical concepts in the kindergarten, the role of the teacher in developing these concepts to kindergarten children, the role of social institutions in developing social, ethical, and religious concepts in early childhood, and applied studies in fostering the social and religious concepts. This course aims to acquaint students with the concepts of scientific and mathematical generalizations that are taught in preschool. It also aims at providing student with the skill of analyzing the scientific and mathematical content at this stage. The course focuses on the nature and objectives of teaching sciences in early childhood and the international standards of selecting the content, the methods of introducing these concepts to children according to learning – teaching theories, especially the constructivist theory and modern methods and tools of assessment. This course includes the concepts and forms of child abuse like physical, emotional (verbal, non-verbal), sexual and neglect. It also studies the three levels of this abuse, mild, medium and severe, (at home, neighborhood, and school), short term and long term effect on children and prevention and cure methods. This course aims to provide students with general idea about family counseling, the importance of family its emergency development, evolution and functions, problems and stages, the role of the family counsel in diagnosis, the problems, solution and the methods of conducing family counseling sessions. It also studies the relationship among family members and their social roles, the family role in forming the non-adaptive behaviour, the healthy family standards, the factors that affect the family relationships, the strategies of building positive relation among parents and children, the family systems and the resulting family interaction. The course also studies family therapy, its definition, objectives and theories. Modern approaches to family counseling, the duties of the family counsellor, the methods followed in conducting family counselling sessions, the kinds of counselling programs marital counselling, the factors of methods of dealing with the divorced and other marital status. This course aims to acquaint students with the most important early childhood programs currently in place at both the global and local levels. It also aims to enable the student to critique programs and help students to build special programs. The course aims to acquaint students majoring in child-upbringing and the importance of the foundations and objectives of appropriate education programs for the motor needs of children. And the importance of the choice of games appropriate to the needs of children and using them in the daily program effectively and the use of story, movement and rhythmic movements and creative in motor activity and the formation of games adapted to the needs and abilities of children such as those that develop awareness of the body, time and place and the evolution of their aspects of sensory and motor. This course seeks to introduce students to the administrative tasks associated with the role of kindergarten teacher and the importance of providing emotional and social climate for the children of kindergarten and explains the concept of the learning environment of class K, functions and focus on the factors of security, safety and health conditions of the environment and prepare for the educational experience, organization and activities to suit the developmental characteristics. This course explains the different ways in the management and organization of kindergartens. This course aims to acquaint students with the function of language, characteristics and factors of growth and methods of language readiness for children and reviews ways of developing willingness to acquire the language skills of listening, speaking, reading and writing and the stages of teaching reading, writing and necessary means of education and indicators of behavioral function to acquire these skills by the children. This course covers the development of the child in all its aspects, whether physical, emotional, cognitive or mental. It also deals with methods of evaluating the child, whether observation, check lists, mental and psychological assessment. In addition, this course deals with the psychological profile of the child and how to write reports. This course deals with the application of the principles of children's development and learning to design and implement curriculum in Early Childhood Education. The course is based on the theories of growth and learning, and the accumulated results of scientific research in this area. It emphasizes the need to the curriculum design at this stage identical with the characteristics of growth, and individual differences among children, taking into account the social and cultural characteristics of students in order to teach a meaningful education. It also stresses that the child as a learner, learn best through play and direct sensory experiences and self-directed activity. This course encourages students to design learning experiences. This course aims at training students to practice different activities in the kindergarten (three full days a week throughout the semester) and provide opportunities for application in kindergartens. The course introduces the student to the notions of patriotism, loyalty to the country and citizenship. It explains the importance of Jordan's location and the ethnic origins of the people. The course traces the various ancient civilizations which came into existence in the land of Jordan, the Islamic civilization in Jordan, the Ottoman rule, and the emergence of the modern Hashemites Kingdom of Jordan. 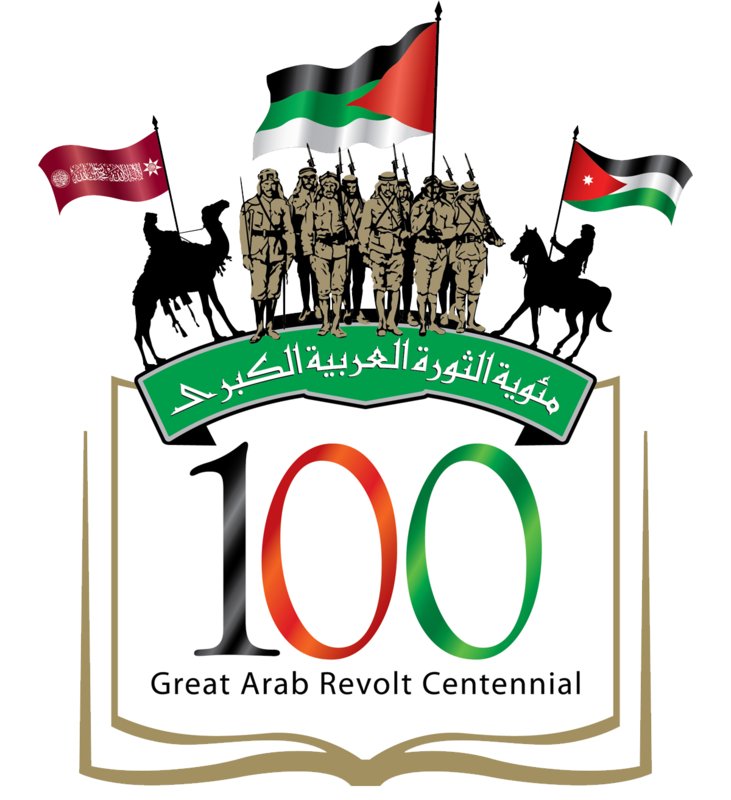 It also studies the role of the Hashemites in the history of the Great Arab Revolution, the policies and achievements of the founder of modern Jordan, King Abdullah I, followed by King Talal, King Hussein, and finally the present King Abdullah II. His political thought, and his policy 'Jordan First' in addition to his stand vis-a-vis the political system, starting with Al-Albait Establishment, the definition of the legislative, executive and legislative powers, the constitutional development and the democratic progress (the Constitution and the League). The Jordanian Society, its main characteristics, problems and social drives. The main political challenges facing Jordan, national security, economy (unemployment and poverty), population growth strategy and cultural, educational, informational strategies. This course introduces the meaning of civilization conditions of its foundation and development, its creative manifestation; Analysis of one of the greatest human civilization (Ancient Eastern, Greek or Modern European). Selection of texts is introduced. This course discuss the different definitions of the state; types of the state; types of government; the branches of government; political ideologies; political parties and pressure groups. This course introduces most important issues and problems facing the Arab World. Special emphasis is given to economic, socio-political and cultural issues. Organization of the Jordanian Armed Forces (JAF) and its branches to include their establishment and development. Types of wars. Establishment and development of Public Security Directorate, General Intelligence Dept. and Civil Defense Directorate. The role of (JAF) in the development of Jordan and in world peace keeping. Some wars and battles, like: the Great Arab Revolution, 1948 War, 1967 War, Al-Karamah Battle and Ramadan 1973 War. The course deals with the concept of physical fitness, in terms of importance and in relation with health in general. It presents to the student for models measuring the elements of physical fitness and it introduces concepts of nutrition and importance to physical activity. The course tackles issues such as components of food, source of energy for moving activity, the stature, sport injuries and treatment, women sport, sport in Islam, the development of sports in Jordan, the disadvantages of smoking and stimulants and how they affect sport and health, the physical practice and how they affect circulatory and respiratory systems. The course deals with the definition of the concepts of education and the environment. It focuses on environmental education in terms of justification, philosophy and goals. It focuses on Ecosystem: Components, Characteristics, and Biogeochemical Cycle of Elements and various environmental problems at the national, regional and global levels, the problems of population, pollution, energy, water shortage, global warming and the depletion of resources and suggested solutions for decreasing these problems. The birth and development of sociology as an independent field has its own theories and methodologies, the relationship between sociology and other fields of study, the study of a number of subjects that help the students understand the society and prevailing systems, identifying the processes of social interaction, social phenomena, primary and secondary groups, organized crimes and social mobility.